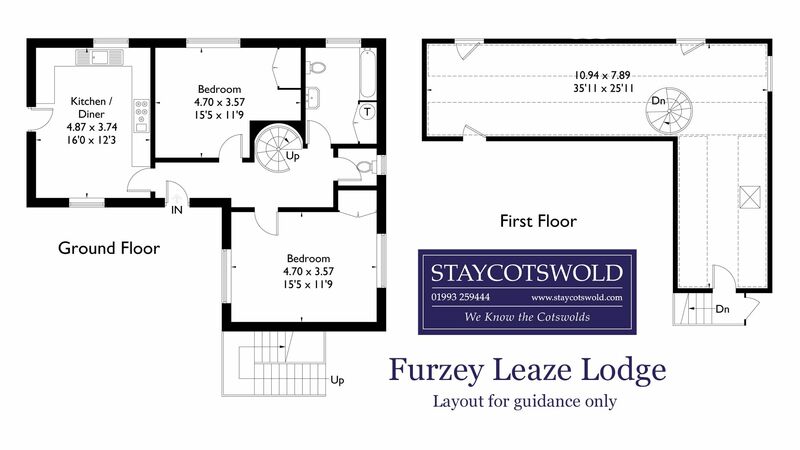 Furzey Leaze is a charming self-catering holiday cottage situated in beautiful grounds between and Fulbrook and Swinbrook. 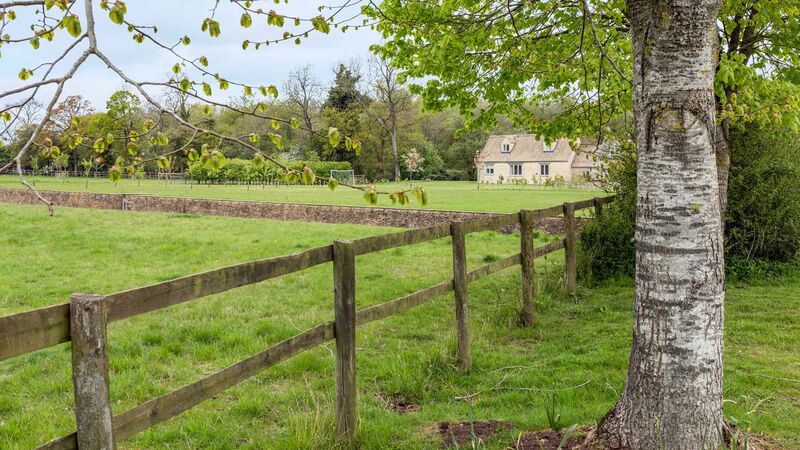 Tucked away down a long driveway, the property is in an enviable spot with stunning views of the countryside and plenty of lovely walks to explore from the doorstep. The town of Burford is close by where you will find fantastic shops, pubs and cafes. 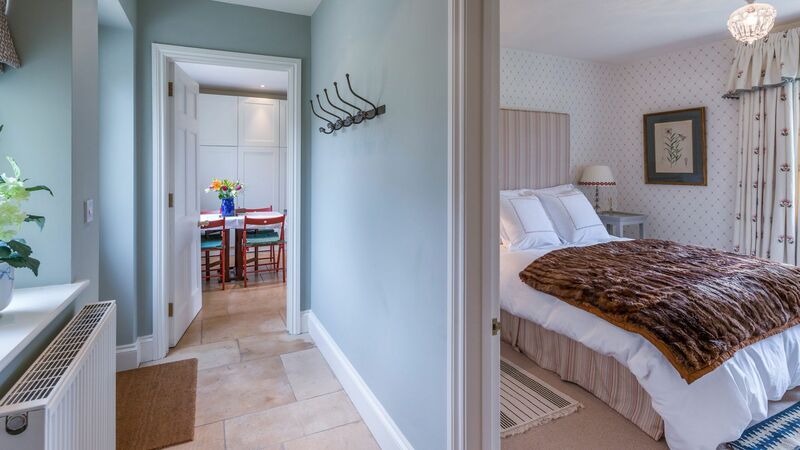 It is the perfect place for a romantic getaway to the Cotswolds! Modern kitchen with gas cooker, washing machine and dryer. Breakfast table with seating for 6 guests. 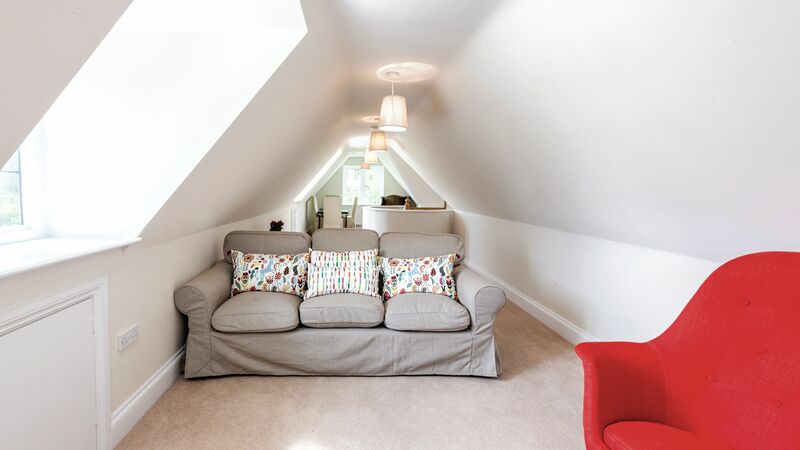 Through the hallway and up the wooden spiral staircase up to the quirky living area. There is plenty of comfortable seating and TV with Apple TV. 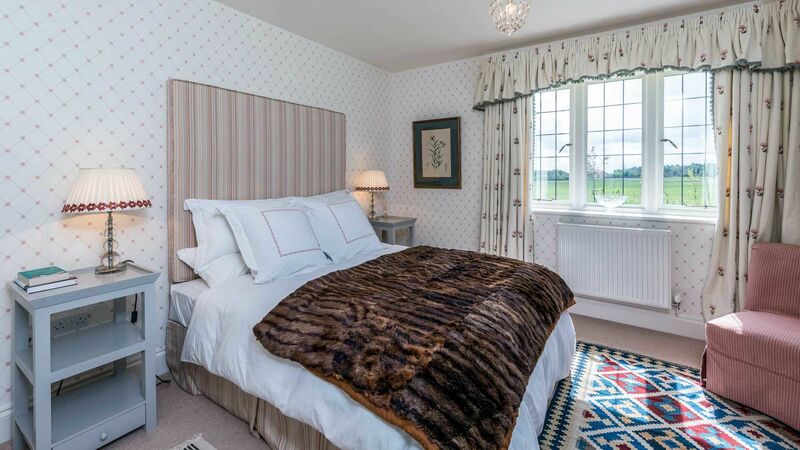 The two double bedrooms are situated downstairs, and enjoy beautiful views across the grounds and surrounding countryside. 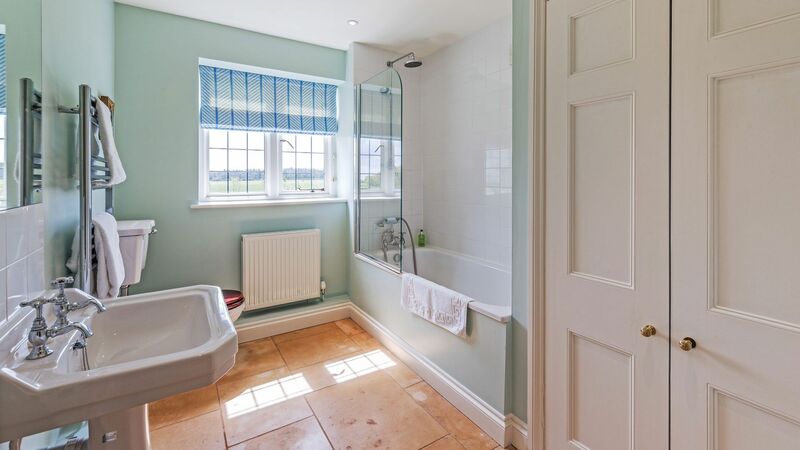 Family bathroom with shower and bath, plus separate loo. Terrace with seating and BBQ facilities. Just a quick note to say how wonderful our stay at Furzey Leaze a couple of weeks ago. Once you hooked me up with Lucinda, sorting out travel arrangements was a breeze. 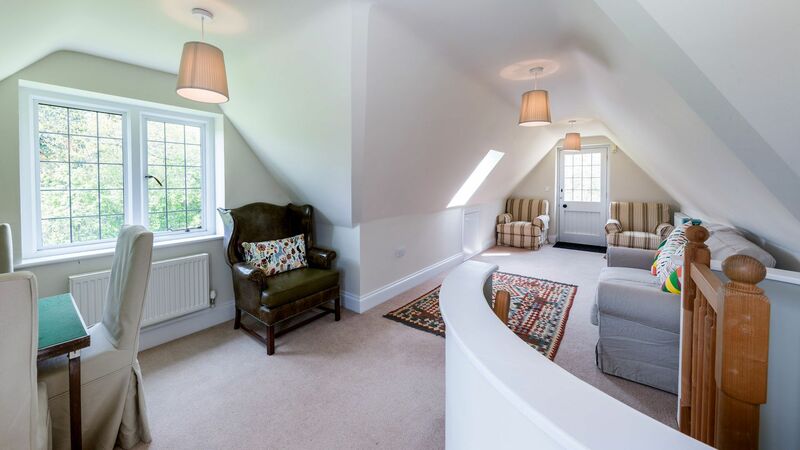 The location is fantastic, just 30 minutes from the lavender fields at Snowshill, 20 minutes from the Fairford Airshow and only 1 hr 15 min to North London (my wife needed to work there one day). The accommodation was lovely – really light an airy, which was great since it was 25-30oC all week. Really quiet and spacious. I loved the upside-down style, with the living room upstairs. Bed was super-comfy, and with the quietness, we slept really well. Our dog loved it – plenty of nice sniffs and walks from the front door, and loved meeting the owners dogs, Twiglet and Muffet. 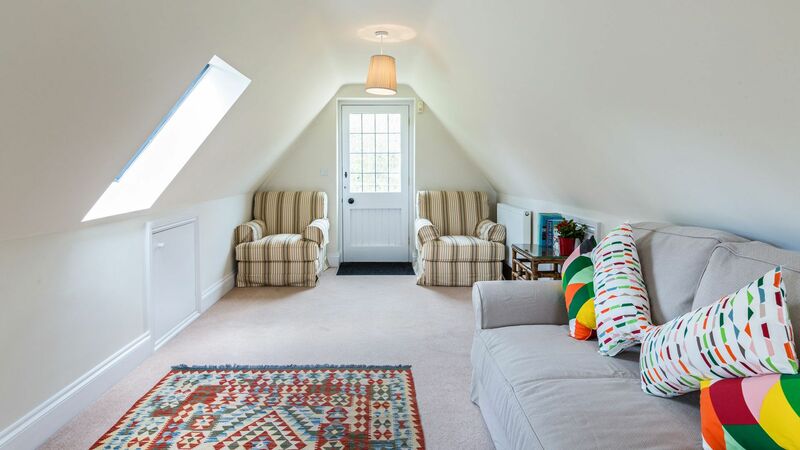 As for the owners, Lucinda and James, they could not have been more welcoming yet striking the perfect balance between privacy and making sure we had everything we needed. Easy to recommend a stay at Furzey Leaze, whether short or long. The reservation was a simple process and upon arrival we were met by Andrea with complimentary tea, milk and biscuits..very nice. 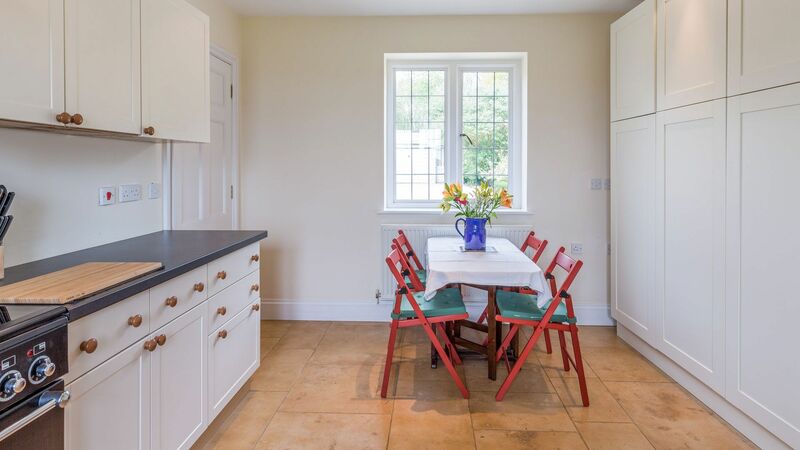 The cottage was exactly how a Cotswolds property should be with great views into the open countryside and wild pheasants and rabbits outside the windows which our 2 year old son loved. The facilities included amongst others TV, DVD, board games, books, outside football goals and even a built in outside trampoline. 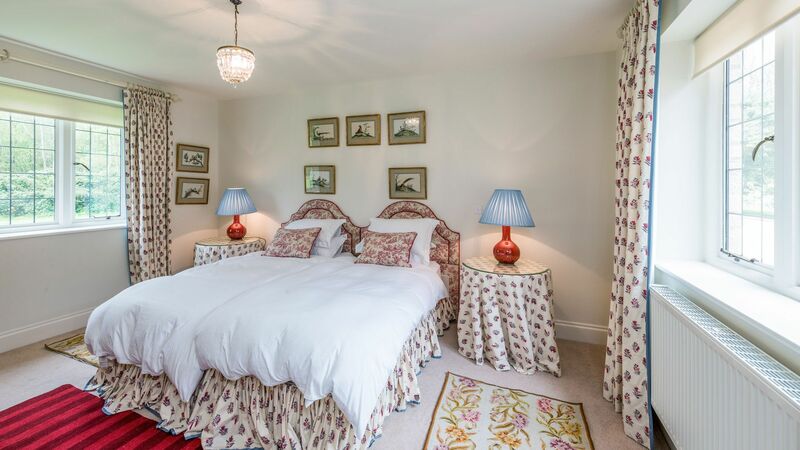 The cottage was cleaned to a very high standard and I must single out how comfortable the beds were. Location is great to explore nearby villages (I suggest you bring wellies as a little mucky under foot along the road to the property). We had a fantastic break, 5/5 rating, Thank you for the happy memories. 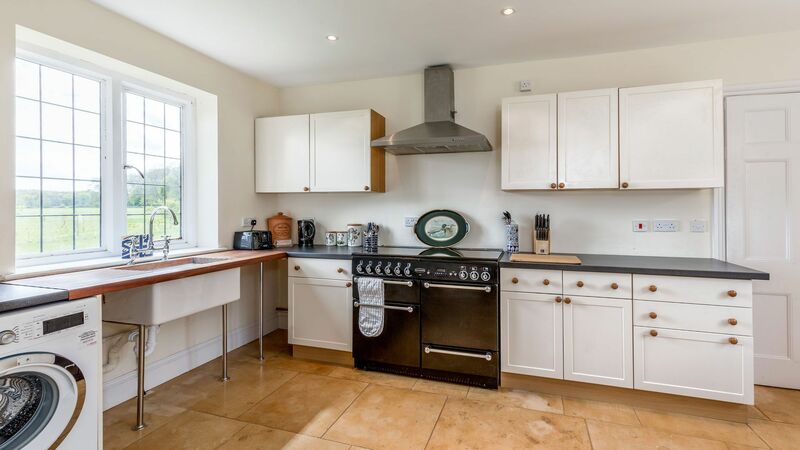 The property is situated between the villages of Fulbrook and Swinbrook. The market town of Burford with its bustling high street of shops, cafes and pubs is only a couple of miles away. 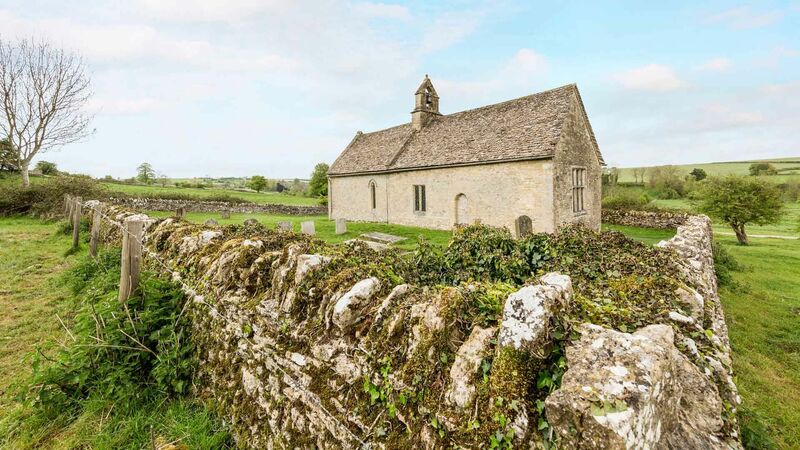 It is well placed for exploring the beautiful Cotswolds.